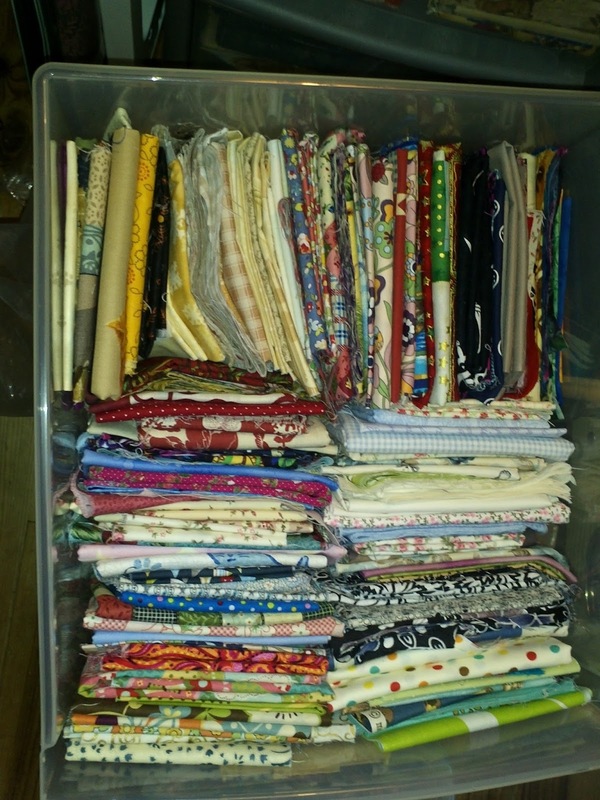 This is my most used drawer, it has what I think of as my adult fabrics, they range from fat 1/6th to approx fat or long 1/4. 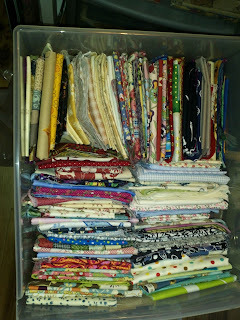 This is the top drawer where larger bit of fabric live or packs of fabric. 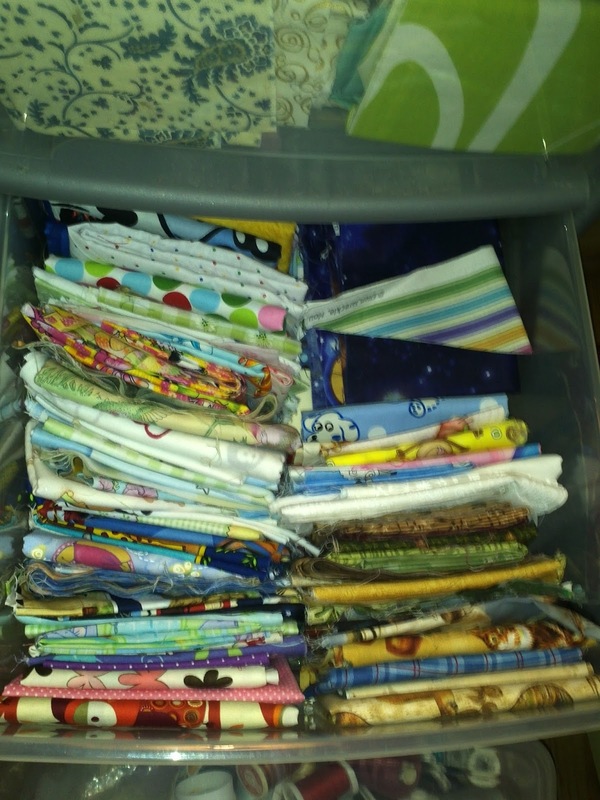 This is childrens drawer, which is being taken over slightly by draw above, who is full to the rafters, these are mostly kids fabrics. This is bottom draw, this has panels, precut bit and pieces and also a lot of larger pieces that are mostly used for the inside bits that no one will see, like in foundation piecing. 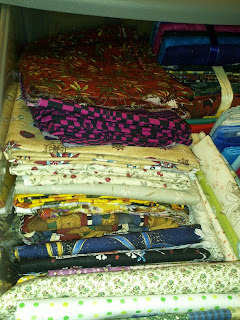 I also have five bird feed tubs full of strips and scraps and also four big square tubs full of 'other' fabric, like fleece, flannel, gingham. Plus a whole cupboard full of 'other' fabrics for dress making etc, which to be quite honest I don't know what I'm going to do with it - I think I'm going to have a give away soon of that fabric.... I need the space for more cotton fabrics. It's always interesting to see how quilters store and organise their fabrics. 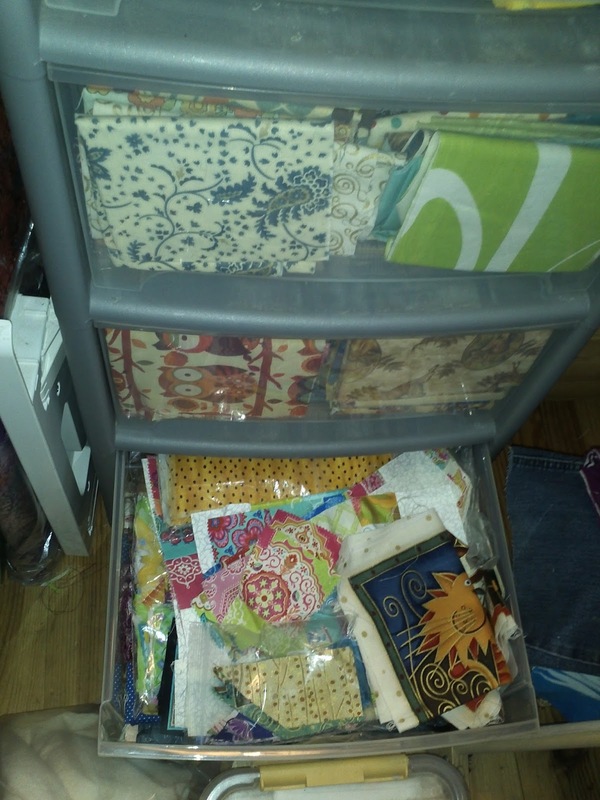 Your are great stored in drawers like that, you can easily see what you've got. Nurture away!!! It's not an addiction...it's a passion! And yours is awesome. 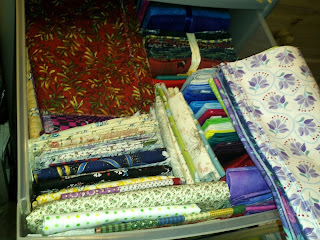 Fun to see your stash!